This weekend was Selection Sunday, the annual revealing of brackets for the NCAA men’s basketball tournament and the official start of “March Madness”. This year’s field of 68 teams features some incredible basketball talent, some heartwarming stories of individuals and teams overcoming adversity… and quite a few schools which use threatened or endangered species as mascots. As I am a huge college basketball fan in addition to being a conservationist, I couldn’t resist a quick tour. Mascot: Buffaloes. Considered “Near Threatened” by the IUCN Red List, American bison are iconic of the U.S. conservation movement. Expected outcome: Though 6/11 games are often popular picks for upsets, we can expect that not too long from now, Colorado’s fans will speak fondly about the time that their team used to roam the plains of the NCAA tournament in huge numbers. First game: Thursday at 7:27 vs the South Dakota State Jackrabbits (species not specified, though most North American jackrabbits are IUCN “Least Concern”. Expected outcome: About what you’d expect from a fight between a bear and a rabbit (when running away isn’t an option). Mascot: Tiger, IUCN Red List Endangered due to habitat destruction and hunting for their colorful pelts. Expected outcome: Hard to say, as St. Louis and Memphis have both shown flashes of being a grrrrrrrrr-eat team. Mascot: Lobos (a.k.a. gray wolves), which were protected by the Endangered Species Act until last year. Expected outcome: Mizzou is a favorite to reach the Final Four, and unlike real tigers, they should have little difficulty surviving the first weekend of games. Mascot: Grizzlies, listed as threatened by the U.S. fish and wildlife service until recently. Their main threats come from habitat loss and population fragmentation. Expected outcome: Wisconsin’s tough defense and superior size will do to the Montana Grizzlies what trains often do to real grizzly bears that try to scavenge food from the tracks. Mascot: Bearcats, aka Binturongs, which are IUCN Vulnerable due to hunting, the exotic pet trade, and habitat destruction. Bearcat is also slang for wolverine, but with apologies to my Michigan-alum brother, binturongs are way cooler than wolverines. First game: Friday at 12:15 vs. #11 Texas Longhorns. Expected outcome: The Bearcats will build up a healthy lead before the halftime rush to get soda and popcorn… the latter of which supposedly smells exactly like Binturong musk. Mascot: Bonnies, which I have been assured are represented by a wolf known as the “bona wolf”. Expected outcome: These wolves will need their Endangered Species Act protections reinstated to survive this FSU team, which is the first ACC team in decades to beat both Duke and UNC twice in a season. Expected Outcome: NC State will have to play as a pack in order to defeat the more talented San Diego State. -The most common mascot in the 2012 tournament is the wildcat, also known as a lynx or bobcat, which considered “Least Concern” by the IUCN Red List. Kentucky, Kansas State, and Davidson all use wildcats as their mascot, and Ohio University has bobcats. Their European relative, the Iberian Lynx, is considered Critically Endangered. -One team, the University of California, uses an extinct animal as their mascot. The “Golden Bears” are a subspecies of brown bear that sadly doesn’t exist anymore. -The most common animal mascots seem to be predatory mammals (tigers, bears, wolves, wildcats, bobcats, cougars, catamounts) and birds (blue jays, cardinals, golden eagles). -Not a single team with a marine animal as a mascot made the field of 68 teams… not even my personal favorites, the USC-Beaufort “sand sharks”, named after a species of shark that doesn’t exist. The University of Miami Hurricanes, one of the “bubble teams” that didn’t make the field, are at least a marine phenomena. 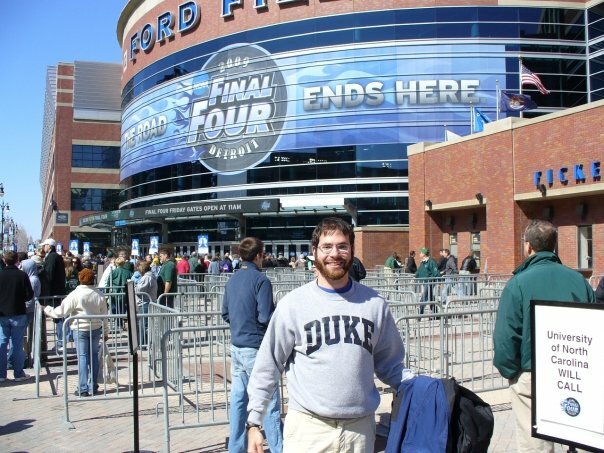 -I do not recommend picking your bracket based on the mascot, though stranger ideas have won office pools. I’ve heard “sand shark” used for sand tigers, sharpnoses, and smooth and spiny dogfish, so technically USC-Beaufort could be any of those. Each year I do the same thing as you have done, based on listings under the U.S. Endangered Species Act. I usually count “Wildcats” on my list and say that they are Canada lynx which are listed as threatened under the ESA. I also generally count the “Gators” as a recovered species. I would also count the Temple Owls since there are a number of owls listed as threatened or endangered. Finally, as a New Mexican- I need to point out that a Lobo is a Mexican Gray Wolf and are very much endangered with less than 50 left in the wild. Thanks, Liz! I didn’t realize that lobos were an entirely different species of wolf. Good point, Hans. There is indeed a fish called a “Blue Devil”. However, that’s not what the Duke team is named after. I believe both the fish and the team are named after the same thing- a French special forces unit. At the very least I know the team is named after that. Thanks for reading and commenting!